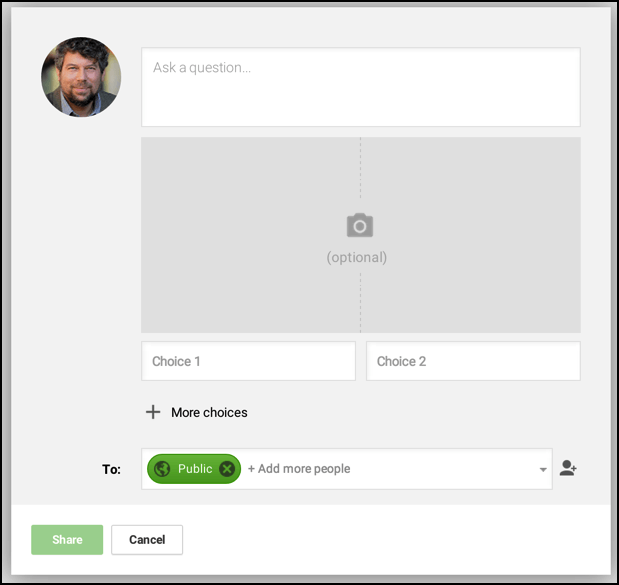 Actually, it’s surprisingly easy to create a basic poll within the Google Plus environment if you know all the options you want your followers to see. It’s not going to be particularly sophisticated and it definitely doesn’t replace the more complicated software required for a multi-question poll or a branching poll (where subsequent questions are selected based on earlier answers), but it’s not intended to do that, so that’s not a problem. To demonstrate, I’m going to build a poll of my own about a really critical question: what’s everyone’s favorite ice cream flavor. And the answers are rather surprising! Rather than the usual content, however, you’ll want to click on “Poll” on the lower right. I recommend that as a first step you add a photograph or other image that’ll draw attention to the poll and garner more responses. By default, polls have two choices, which are easily filled out. If you only need two or three choices, you’re good to go. Otherwise, keep clicking “+ More choices” until you max out at five. Click on “Share” and the results are actually even more attractive than you might expect. 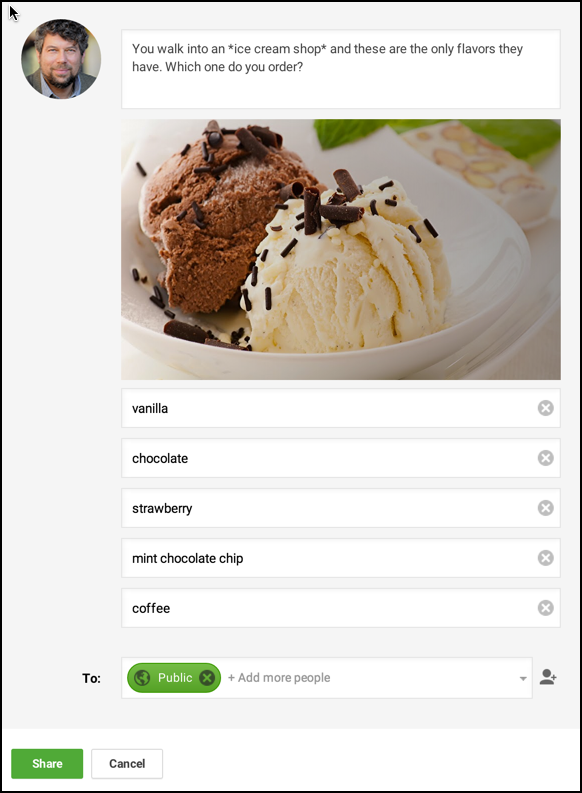 Users can vote as easily as clicking on their favorite flavor. 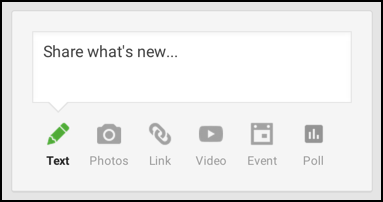 How do you do it on the new google+?